Perth-based energy giant SSE plc said on Friday it agreed to sell a 50% share of its SSE Enterprise Telecoms business (SSEET) to Infracapital for up to £380 million. SSEET operates a UK-wide private telecoms network and an estate of 15 data centres. Infracapital is the infrastructure equity investment arm of M&G Prudential. The sale follows news on Thursday that both Moody’s and Standard and Poor’s downgraded SSE’s credit rating one notch. 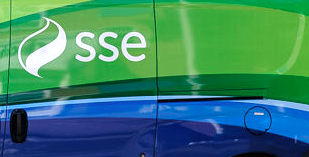 The cash proceeds of the transaction will be used to reduce SSE’s net debt. Neil Kirkby, SSE Enterprise Managing Director, said: “Infracapital has a proven record of actively supporting the companies they work with; this partnership heralds an exciting era of growth for our dynamic telecoms business. James Harraway, Infracapital Director, said: “High-speed connectivity is vital to economic growth and prosperity and we are delighted to announce this partnership with SSE plc. “SSE Enterprise Telecoms is an established telecoms infrastructure provider, with a 12,000km fibre network, and is well positioned to support growth in this critical sector. SSE finance director Gregor Alexander said: “We have had constructive discussions with both Moody’s and S&P and understand why they have taken these decisions. “A Baa1/ BBB+ credit rating is one of the strongest held by private sector utilities across Europe and it should not have a significant impact on our ability to secure funding at competitive rates.